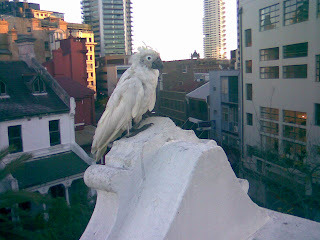 In these last days of the 2008 Biennale of Sydney, The Artswipe is finally running a pictorial essay about the much hyped Cockatoo Island venue. These here photos are but a few of the cockatoo islands I have encountered in recent weeks. 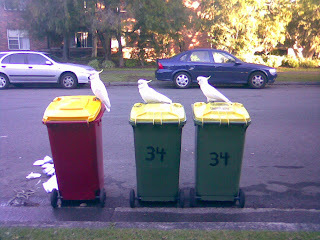 Note how the cockatoos are either sitting on the trash heap or they are the trash heap. There you have it - The Artswipe's review of Cockatoo Island, couched in mysterious metaphor. Ahoy, there be art in them there cyanide pits...pieces of eight.